Environmental responsibility and stewardship continues to be a growing focus for many businesses and energy users. Businesses and energy users who understand the importance of sustainability and renewable energy resources know that it is important to their customers. Companies are choosing to conduct business with vendors who have a focus on sustainability. Employees are choosing to work for companies with strong green practices. In the not too distant past, a credible environmental initiative competed with the bottom line. No longer…..now the bottom line depends on it. Renewable Energy Credits (“RECs”) provide a way for you to attain your objectives by greening some or all of your electricity purchases. 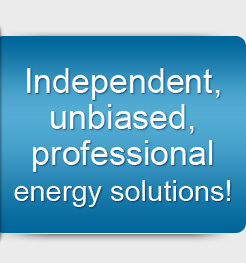 Axsess Energy Group can help you with your REC purchases i) regardless of whether they are bundled with your physical electricity supply or purchased separately, and ii) regardless of whether you are purchasing electricity from a competitive third party supplier or from your utility. “Green” your electricity purchase today. Please contact us to further discuss any questions you may have and your needs.